I don’t think Halong Bay needs any presentation. A UNESCO World Heritage Site and voted one of the New Seven Wonders of the World, the bay is considered one of the most beautiful in the world. Unfortunately for me, the weather was not very good which always makes it harder to really enjoy a new place. I can however imagine how with a blue sky the bay can be beautiful. I went on a 2 days / 1 night cruise on a beautiful boat (Glory Cruise). The cruise takes you around the bay making a stop at a floating village (where fishermen live). 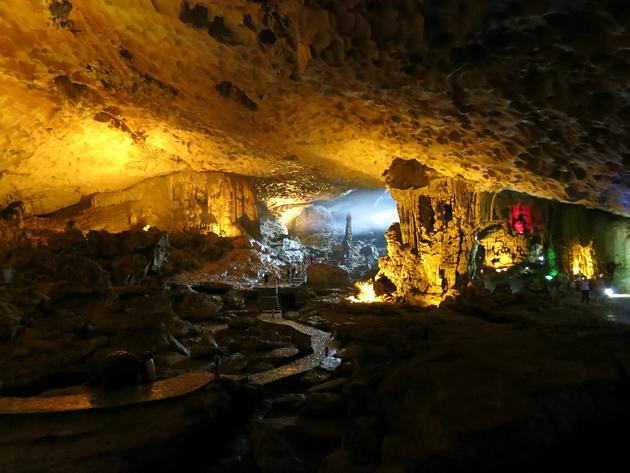 The second day is short with only a stop at the “Amazing Cave”. I can only recommend this company as the staff was very friendly and the boat perfect. 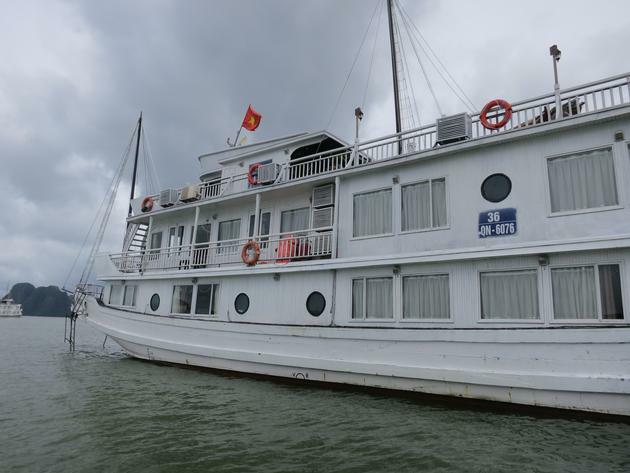 Halong Bay is very touristic, they are hundreds of tourist boats cruising the bay every day, so don’t expect to be alone! It feels a bit like a factory and the water can be quite dirty. I also found that while cruising from inside the bay you loose the perspective that the aerial photos give you, thus I found it less impressive than I expected. 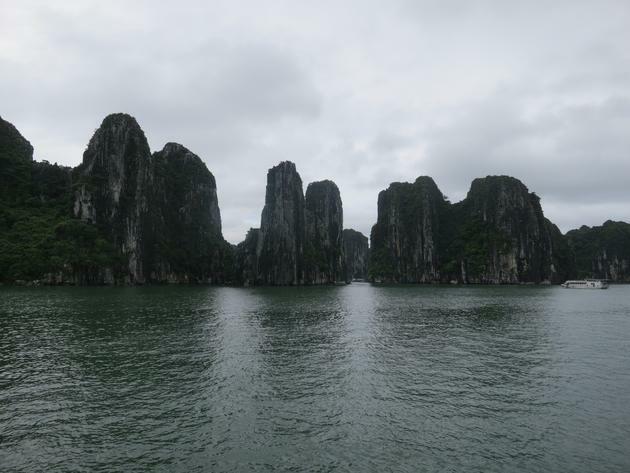 Although not everything is rosy, Halong Bay is an unmissable sight in Vietnam.